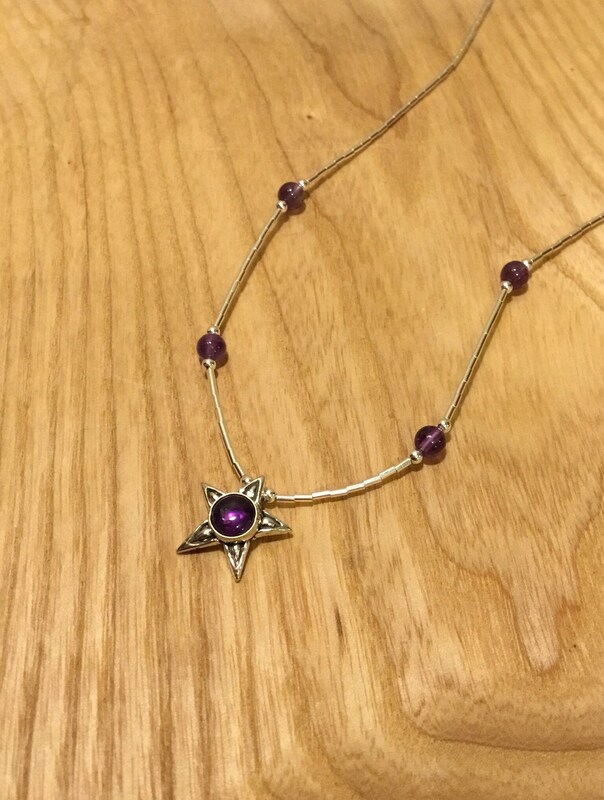 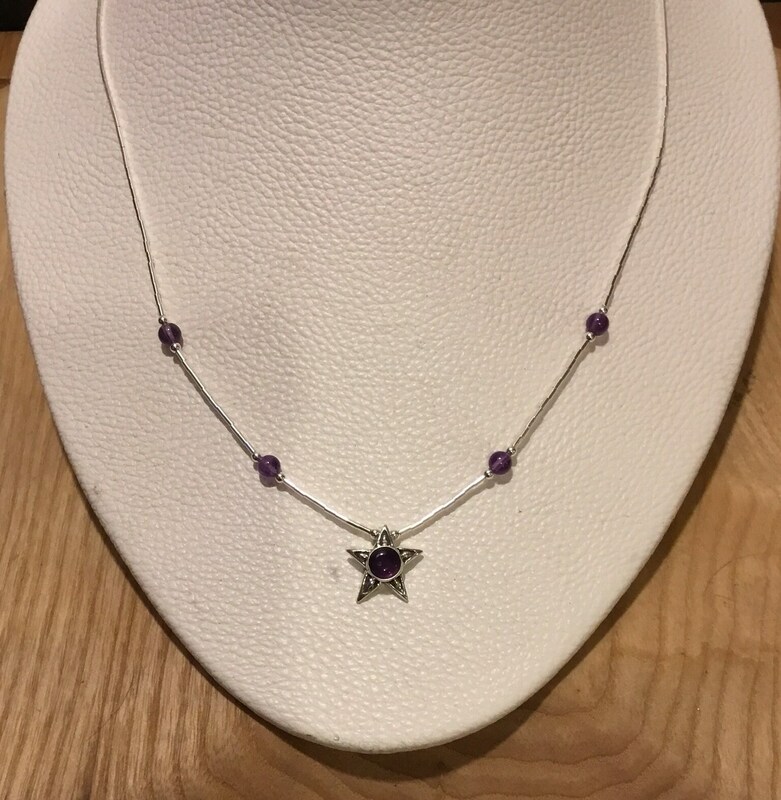 Minimalist Star Pendant on a Liquid Silver Designed Necklace With Amethyst. 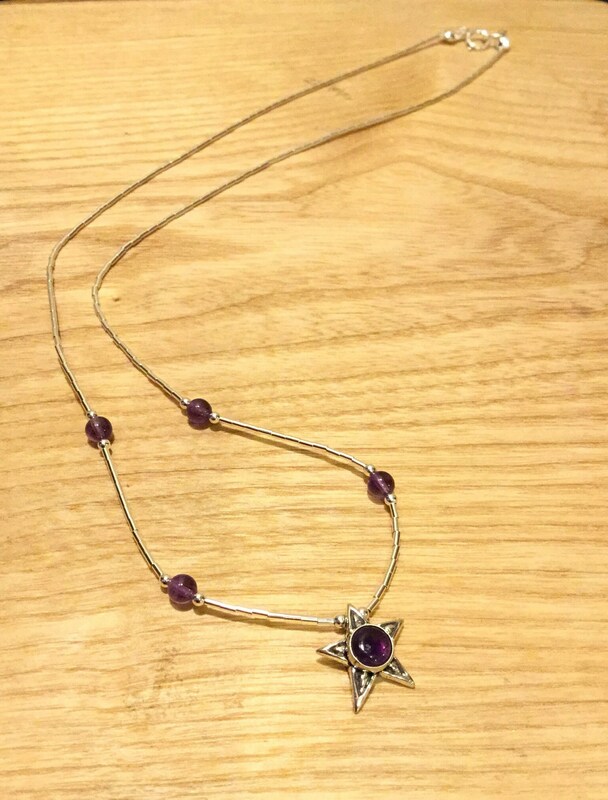 Inclusive of Pendant Loop This Has a 13 mm Drop, Is 14 mm Wide and 4.5 mm in Depth. 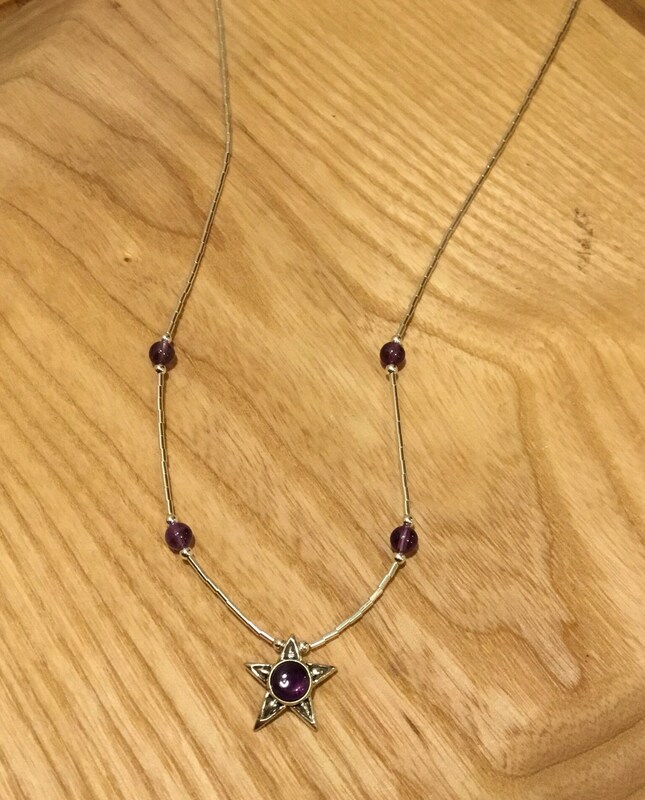 The Sterling Silver Necklace Measures 18 Inches in Length And Liquid Silver Tubes Have a Diameter of 1 mm. 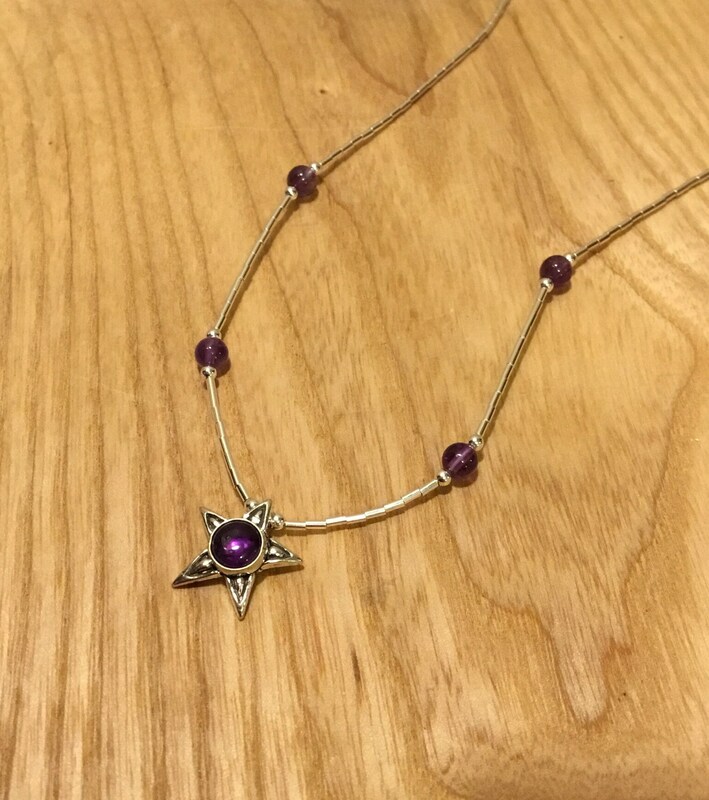 The Reverse Side of The Amethyst Star Pendant is Backed.